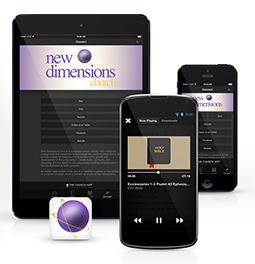 Welcome to the New Dimensions Church! We believe that our salvation is by God’s grace through our faith in the Lord Jesus (Ephesians 2:8). As sinners, we deserve punishment because of our sins. However, by grace, we received mercy from God as we looked dependently and trustingly at the saving work of Jesus at the cross. This is the “Good News” message known as “The Gospel.” The central message taught within our fellowship is that God loves and accepts sinners through Jesus Christ, who restores us in His name.